New to Medicare? Get our FREE checklist! Need Help Now? Call us! If you would like help determining which plan is right for you. 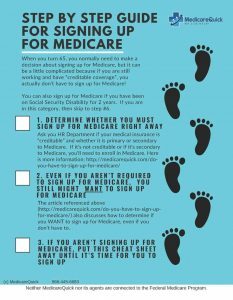 *Medicare has neither reviewed nor endorsed this information *MedicareQuick.com is not affiliated with the United States government, the Social Security administration, or the Federal program. *Neither MedicareQuick not its agents is connected with the Federal Program *Medical Insurance Licensed in the States of California, Florida, Nevada, and Texas, and Advantage and PDP service areas vary.